Sometimes, you just want to run away from all the stress and drama in life and hide away in a tree house like when you were a kid. Turns out that’s totally doable, and we have your back. 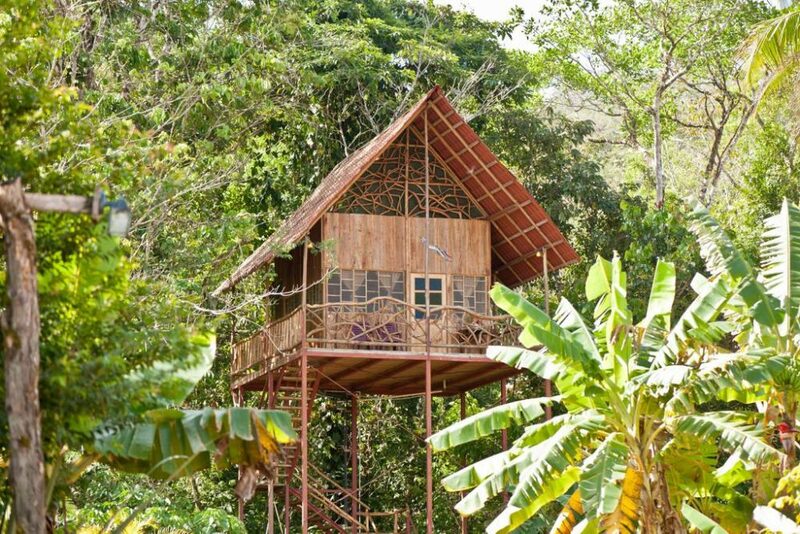 We found these gorgeous, grown-up tree houses all over the globe that are perfect for romantic getaways or some much-needed alone-time. These elevated sanctuaries feature staggering views and modern amenities, but will still give you that childhood nostalgia that we’re all yearning for deep down. 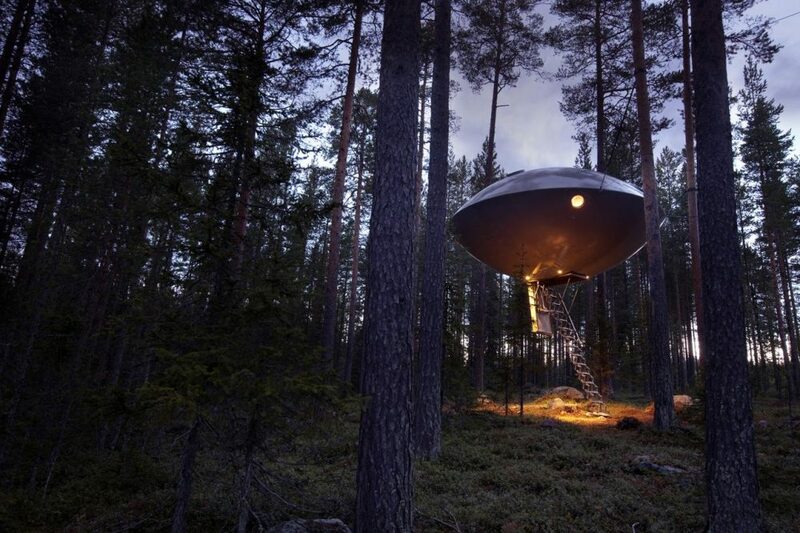 Here are eight luxury tree houses you can actually stay in. 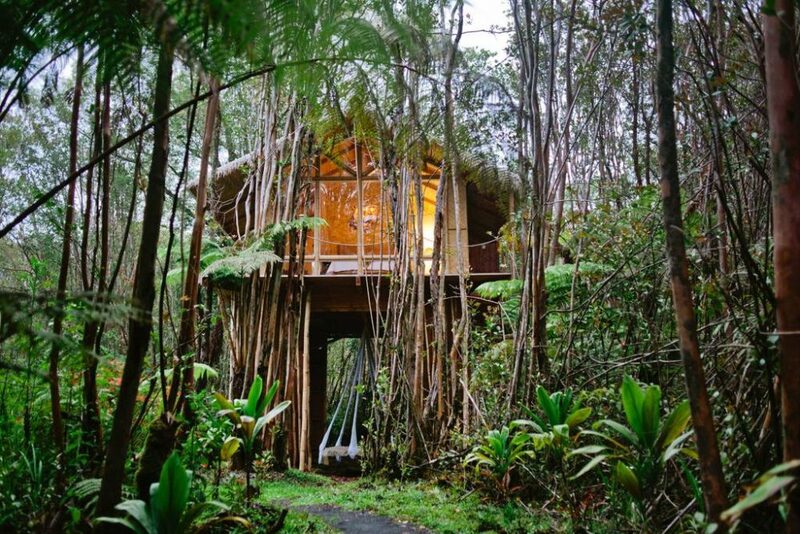 This bamboo tree house sits on stilts 15-feet high amid the canopy of local, exotic flora, with close proximity to Volcano National Park and 360-degree views. Located within Hawaii’s lush Fern Forest, it can be accessed through a red cinder path. Underneath the house between the stilts sits a hanging bed, which will lull you to sleep and connect you to nature. The bedroom has a unique chandelier, the bathroom is filled with hanging plants and the showerhead drips naturally-caught rainwater. Not for those who are scared of heights! Located 40 feet up and far off-the-grid, this is more of a lookout tower/tree house fusion, and can only be reached by four flights of stairs. 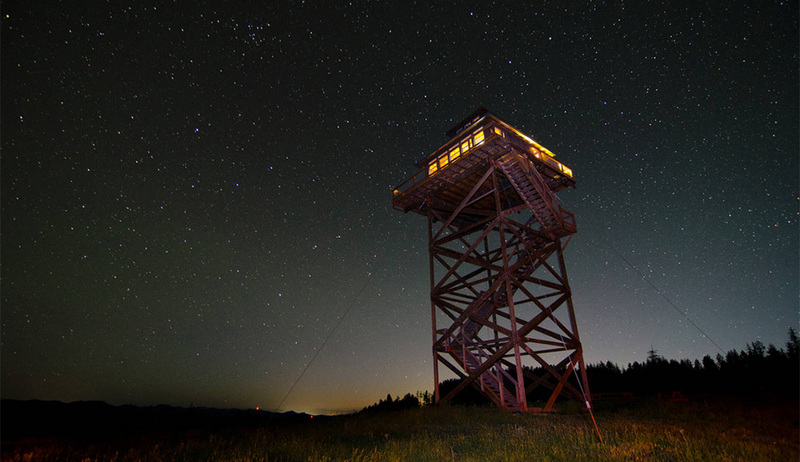 It can be rented between April and November, and is located on a 40-acre meadow in Umpqua National Forest in Oregon. Sway in the hammocks down the hill or take a soak in their wood-fired, spring-fed hot tub. They even include a guide to what the meadow looks like in different months. Summit Prairie claims it is on over 19,000 Airbnb wish lists, and you can see why! Located in Northern Sweden, this isn’t a standalone tree house, but a hotel made up of a dynamic range of sleek treetop suites. You can watch the northern lights from a mirrored cube, a human-sized bird’s nest, a UFO-inspired accommodation and other picturesque rooms that soar above our expectations. The interiors are just as extraordinary, and we had to give Treehotel a nod for location and concept despite the fact that it’s not an Airbnb. Shrouded in a swaying bamboo forest, you wouldn’t initially guess that this Airbnb tree house is actually located in Atlanta, Georgia. Local alpacas and chickens hang out in this charming abode which features reclaimed antiques, heat and air conditioning, marble baths and luxurious beds. Architecture nerds, nature lovers and glamping fanatics, check it out! 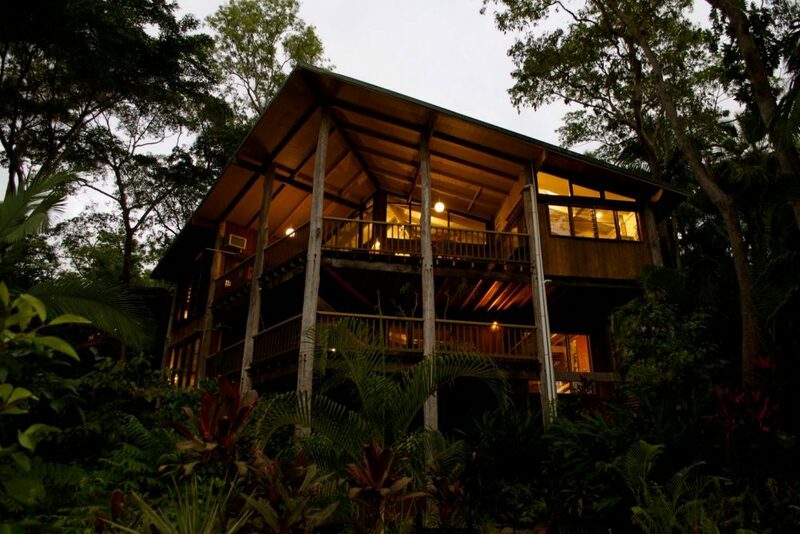 Combine two nature fantasies in one with this affordable Costa Rican treetop haven. Siting in a rainforest with nine organic hot and cool springs at the Bio Thermales in Alajuela, Costa Rica, you and nature will become one here. Melt into this natural spa that offers peace without the expensive lotions and claustrophobic rooms. Plus, it’s just 45 minutes away from Arenal Volcano and horseback riding adventures, so adrenaline-seekers can expend their energy there. The quaint Fox House looks like something out of a dreamy Instagram feed, with its unique angles and mid century look. It’s located in Nashville, Tennessee, and the natural light is a fantasy in itself. Located on a two-acre wooded lot, creative types will love the writing desk and double deck with outdoor seating. There’s no kitchen and the private bathroom is separate, so if you’re looking for a more rustic experience with just a dot of luxury, this is the clear winner. In the depths of Queensland, Australia, lies an extravagant tree house or “pole home” within Trinity Beach. From the inside, you’d never guess it was a tree house. The massive two-level home features three bedrooms, a stand-in shower upstairs with a floor-to-ceiling window, and its own pool. If abundant amenities and luxury over rustic is your style, this listing is the way to go. This oasis is nestled in a lush rainforest just five minutes away from the entrance to Hawaii Volcanoes National Park, where Kilauea Volcano has been active for decades. The tree house has two floors, a hot tub and a fireplace. It’s the perfect place to soak in the quietude and hazy volcano mist. Peaceful, secluded and the ultimate honeymoon destination.